"Flying Watercolor" is a great illustration of how an image doesn't need to be technically perfect to evoke emotion from the viewer. 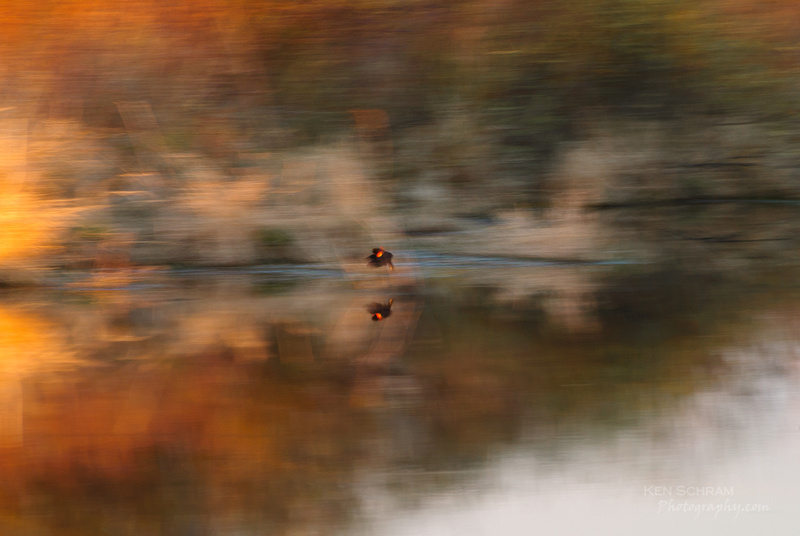 As the sun was setting on the marsh, I noticed this red-winged black bird take off across the pond. I had just enough time to throw the camera to my eye and snap off a few frames. While not a single item in this image is in focus, the "Monet-ish" quality of the colors in the reflection caused by the setting sun make this one of my favorites.